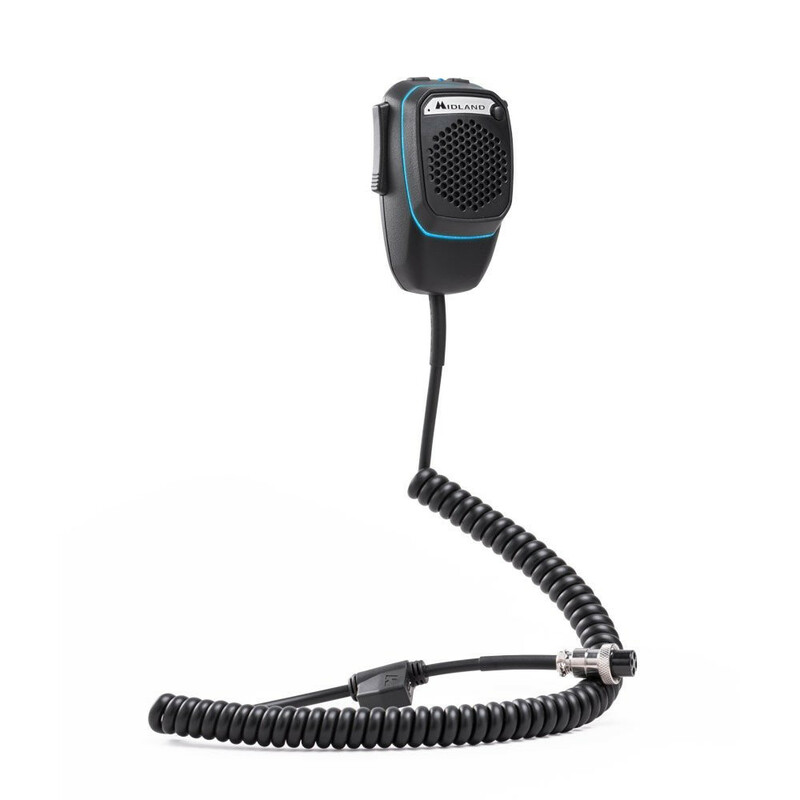 Dual Mike is the new pre-amplified CB microphone that is making its online debut with dual Bluetooth technology that allows connecting to the CB and Smartphone simultaneously.Extremely innovative and functional, Dual Mike is equipped with an analogue/digital doublepush-button (PTT), a light frame for immediate visual notifications (it changes colour based on what is happening) as well as a long-lasting battery to talk with your travelling companions with no interruptions. 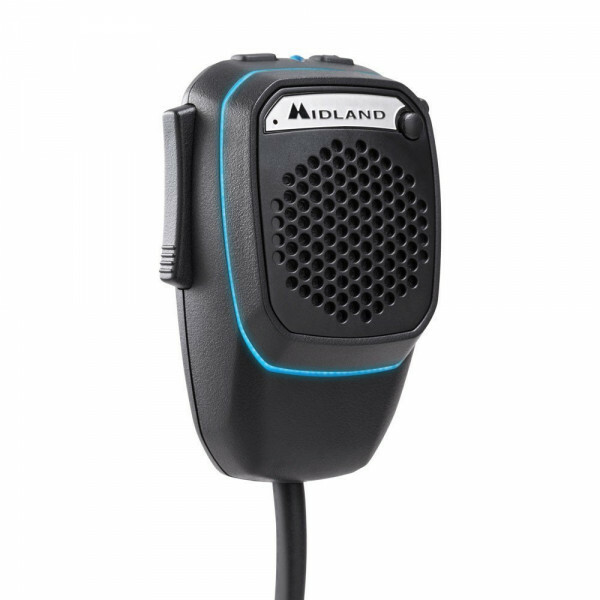 Midland signs the greatest revolution in recent years that allows all CB users, both by radio and smartphone, to overcome any limit of distance on the road in dual mode. 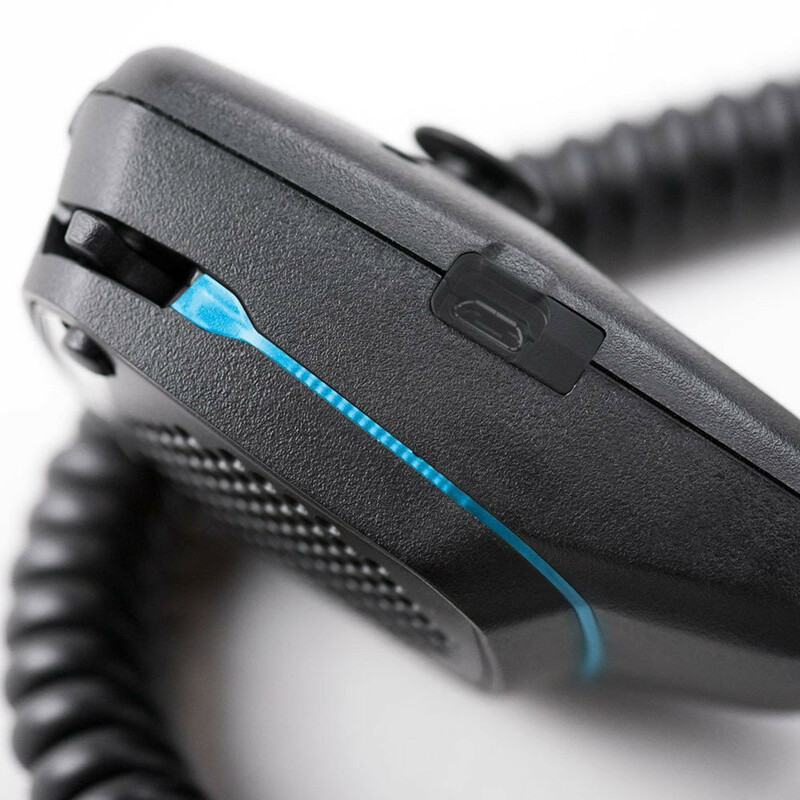 Dual Mike is the new pre-amplified CB microphone that is making its online debut with dual Bluetooth technology that allows connecting to the CB and Smartphone simultaneously.Extremely innovative and functional, Dual Mike is equipped with an analogue/digital doublepush-button (PTT), a light frame for immediate visual notifications (it changes colour based on what is happening) as well as a long-lasting battery to talk with your travelling companions with no interruptions.Thanks to the new CBTalk App, Dual Mike allows reaching a much larger community with nolimits of distance that can share, in real time, traffic news or information using one’s own voice or release geo-localised “buoys” that are vocal messages with immediate usability reporting an emergency or a danger to other users such as accidents, traffic jams, speed cameras and so on.The application allows adjusting the communication distance (0-30 km) and the channels (40), to select the language and display the map with the indication given by the other users who are in the area, with photos and indications of the name and languages spoken in order to communicate with people from the same country in every corner of the world.CBTalk App, gives life to a new community that projects the CB directly into the future.Dual Mike microphone connects to any Midland CB just by replacing it with the existing microphone (available with a 4-pin 48, 4-pin or 6-pin connector) and a Smartphone via Bluetooth.Dual Mike is also a Bluetooth answering machine that, thanks to DSP technology, can be used as a real hands-free kit for your truck, to absolutely talk hands-free. 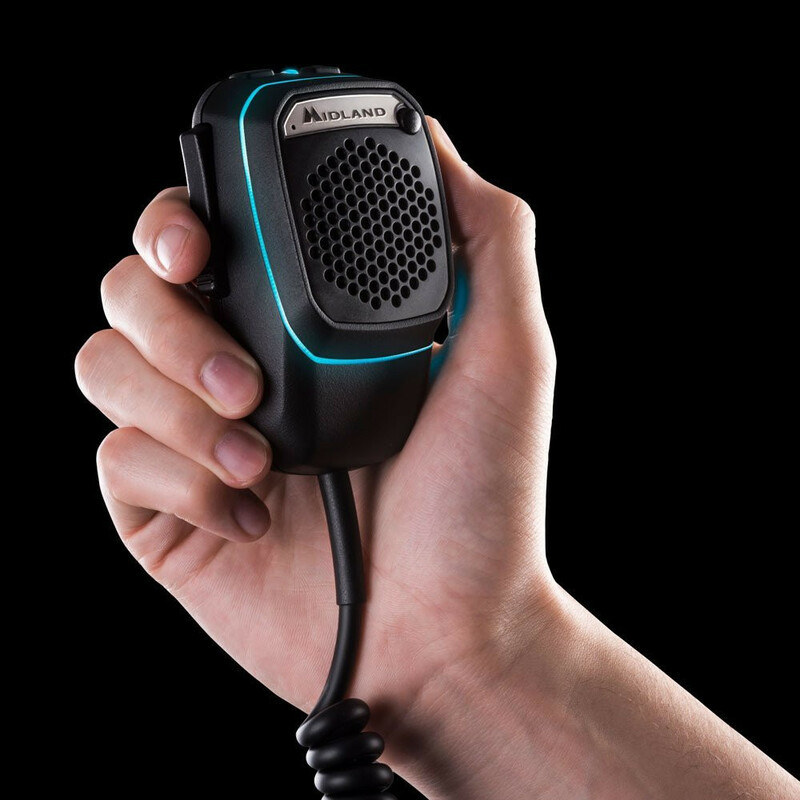 Thanks to LABYRINTH®, the special acoustic labyrinth, with the powerful 3W speaker listening to voice or music via Bluetooth is an unprecedented acoustic experience. 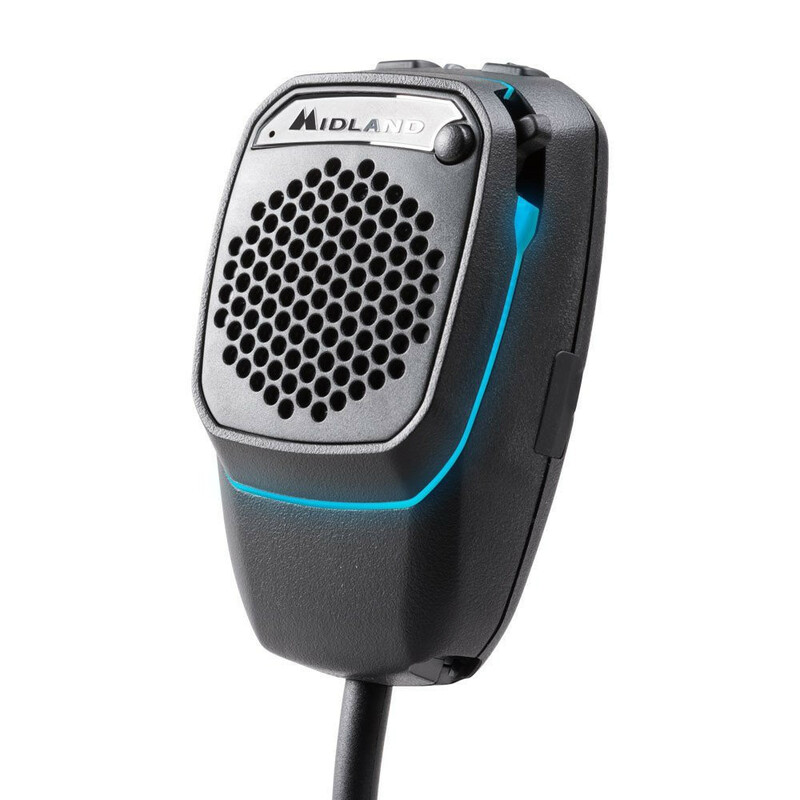 Midland with Dual Mike has reached an important milestone, combining the analogue and digitalworlds and, consequently, answering the needs of traditional drivers and of those who are moreopen to and receptive of modern technologies.